No winding or tuning with this easy action aluminium parasol. With a 38mm pole, this parasol is available in 3.3m. https://www.bents.co.uk/easy-up-parasol-3-3m-taupe-gfapar0046 942 Easy Up Parasol 3.3m - Taupe https://www.bents.co.uk/media/catalog/product/g/f/gfapar0046.jpg 229 229 GBP OutOfStock /Garden Furniture/Parasols /Garden Furniture/Norfolk Leisure/Norfolk Leisure Parasols No winding or tuning with this easy action aluminium parasol. 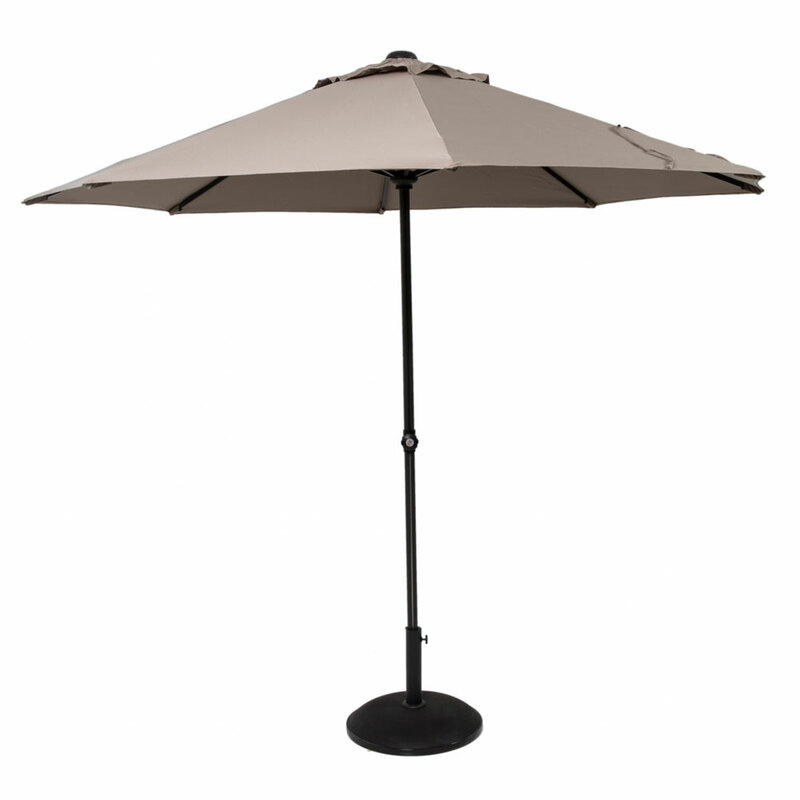 With a 38mm pole, this parasol is available in 3.3m.